Do you want a Loft with plenty of storage, a gorgeous kitchen, and a spacious master bedroom with ensuite bathroom? This may be the Loft for you! This marvellous Loft is located in the downtown core in a security building with indoor parking. You will be just minutes away from cafes, restaurants, shopping, and the waterfront. You won't have to worry about shoveling snow or cutting a lawn, making payments on a mortgage, or paying condo fees and property taxes! Situated at the bottom of Algonquin Avenue just off of Main Street, the suites of the Algonquin Lofts feature 10 ½ foot exposed concrete ceilings with concrete beams, beautifully clad concrete columns, and very chic interiors with an industrial flavour designed by Paisley Park. 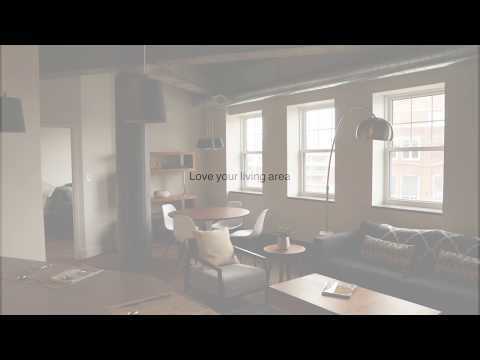 Each Loft boasts features and amenities usually associated with high-end big city condominiums. This new North Bay urban oasis is close to great restaurants, entertainment, our city's beautiful waterfront and more. -2 bedrooms, 2 bathrooms (one with glassed in shower, the other a full-soaker tub) -In-suite laundry room with state-of-the-art high efficiency Miele washer and dryer -A/C system with loft style spiral ducts -Elevator access -Indoor and outdoor parking -Large galley kitchen with ceiling mounted energy efficient LED lights and lots of natural light -Modern stainless steel appliances (refrigerator, stove and dishwasher) -Custom built walnut kitchen cabinets with soft close doors and drawers -Luxury Silestone quartz solid surface kitchen countertops with under-mount sinks -Bright energy efficient LED light fixtures for almost all lighting choices. The careful selection process ensures that they will be both "warm" and bright -Dining area with energy efficient LED dimmable chandeliers -Open living room/dining room design – perfect for casual living or fashionable entertaining! -High-end energy efficient dimmable LED wall sconces and pot lights in entry ways, living rooms, hallways, and bedrooms. -Extra in-suite storage -Custom built sliding closet barn doors with exposed modern hardware -Upscale flooring program -Custom built bathroom vanities with Silestone quartz counter tops that match the kitchen counter tops -Tub/shower enclosure is finished with a modern porcelain "subway" tile. -Lots of closet space -New double-hung windows with Silestone quartz window sills matching the kitchen and bathroom counters. Don't miss this opportunity for upscale urban living! Discover Malmac's commitment to quality. Love what Malmac has for you!